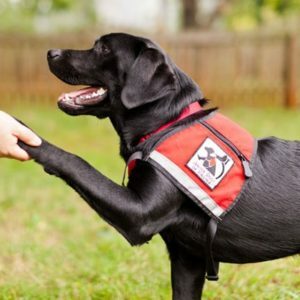 Last month, the U.S. Supreme Court unanimously sided with a 13-year-old Michigan girl with cerebral palsy who had been fighting with school officials for years over whether she could bring her service dog to school with her. At issue are two federal disability laws. The school district claimed it could ban the dog under the Individuals with Disabilities Education Act, which allows a teacher’s aide to assist students instead. The law also requires families that contest school decisions to first go through administrative proceedings. But the family said it could sue for damages under a different law, the Americans with Disabilities Act, because the district refused to allow the dog for more than two years. Writing for the court, Justice Kagan cited two scenarios. In one, a child who uses a wheelchair sues a school for discrimination because the building lacks access ramps. That case hinges on equality of access to public facilities, not whether a school’s special education program is adequate. In the other, Kagan described a student with a learning disability who sues the school for failing to provide remedial tutoring. In that case, the issue is whether the school offers an adequate education. Kagan said nothing in the Frys’ lawsuit suggests a conflict on the adequacy of her education. Rather, the family is asserting Ehlena’s right to bring a service dog to school regardless of alternatives the school district provided. Lower courts had ruled against Ehlena, saying she first had to try to resolve her dispute with the school district. The Supreme Court ruled that federal disability laws might allow her to pursue her case in court without first having to go through an administrative process, and that the lower court must look more closely at the facts before deciding.